Pune-based e-commerce logistics firm Xpressbees has raised about $12.5 million (around Rs 86 crore) in funding from its existing investors – SAIF Partners, IDG Ventures India, NEA, Vertex Ventures, and Valiant Capital. The startup will use the funds to upgrade its technology and expand its operations. 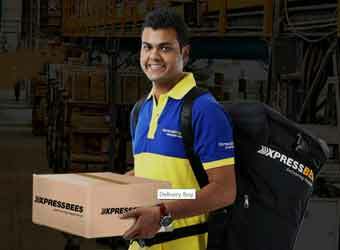 “Xpressbees, aims to double the number of deliveries by next year," CEO Amitava Saha told VCCircle. The firm does over 1,00,000 deliveries a day, he claimed. Moreover, the company aims to expand its base to 100 more cities by the end of this year. Currently, it delivers to 200 cities, with ‘same-day’ and ‘next day’ delivery in nearly 100 cities. The development was reported by The Economic Times first. Xpressbees was first started as the logistics arm of baby products retailer Firstcry in 2012. And, in September 2015, the company was spun out from FirstCry as BusyBees Logistics Solutions Pvt Ltd to function as an independent business. The business has been built by FirstCry founders Supam Maheshwari and Amitava Saha. Xpressbees, which sees Tiger Global-backed Delhivery, Warburg Pincus-backed Ecom Express, and Snapdeal-backed GoJavas as its main competitor, claims that it serves almost all the largest ecommerce players in the country. "Even though most of the e-commerce majors have their own logistics division, our service level is much better than most of our competition. Despite being a late entrant, we have scaled up very fast," Saha added. The surge in e-commerce industry sales has opened up a new wave of growth opportunity for logistics services firms. Given the scale of growth, Flipkart is trying to turn its logistics arm ekart into an independent business, while Amazon is expanding its logistics footprint. Besides e-commerce majors strengthening their logistics part, there have been a bunch of startups that have mushroomed in the on-demand logistics space over the last 12-18 months. Some of these ventures have also raised external funding. Most recently, Hyderabad-based logistics major Gati Ltd, in a stock market disclosure, said it is close to investing in a logistics startup. The move is part of the company's strategy of delivering one million daily packages by 2020. Mumbai-based Kribha Handicrafts Pvt Ltd, owner of ethnic products marketplace Craftsvilla, acquired on-demand logistics enabler Sendd for $5 million, in a bid to strengthen its logistics capabilities. Last year in October, Snapdeal’s parent Jasper Infotech Pvt Ltd had invested $20 million more in logistics firm QuickDel Logistics Pvt Ltd, which runs operations under the GoJavas brand. Bangalore-based hyperlocal delivery startup Opinio had raised $7 million in Series A funding led by e-commerce logistics firm Delhivery.